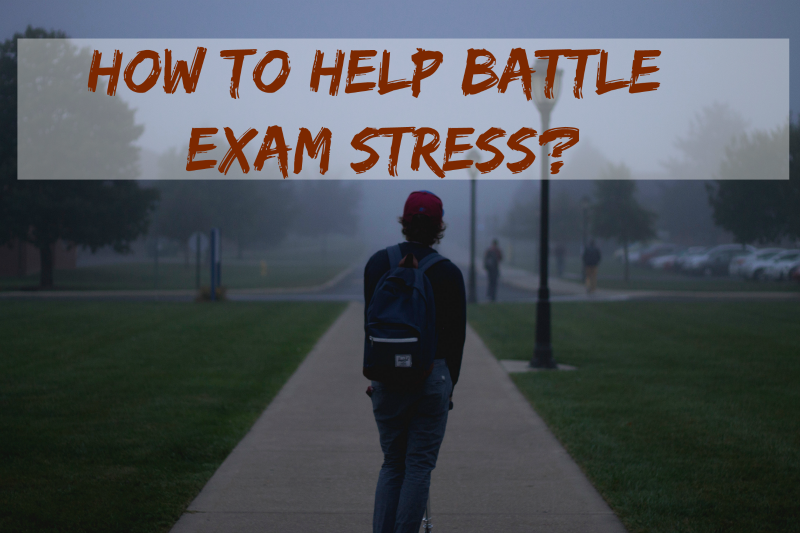 How to Help Battle Exam Stress? Ensuring that our children stay out of harms way is a daily task of being a parent. However, as they get older and face their own challenges, it can be tough to keep on top of the stresses that life throws at them. One of the toughest times that children and teenagers face is the dreaded exam period. Although this is naturally a very stressful time, there are a few things that you can do to make the journey as calm as possible. It can be tempting to skip the sleep routine in order to get a few extra hours of revision in. However, this is not beneficial in the long run and your children will just end up exhausted, lacking in concentration, and forgetting what they tried to learn. Good sleep improves thinking and is extremely important for development. Give your child 30 minutes to wind down before going to bed, allowing them to take their mind off studying and gadgets. 8-10 hours of sleep per night will help your child remain settled and positive about exams. Bottling emotions up is a dangerous game; we all know this. Remind your child that the worry and stress they are feeling is completely natural. Comfort them and let them know that you are there for them. If anxiety seems to be taking over, allow them to take a step back and practice exercises that distract them for a while. Talking about worries acts as great therapy for everyone involved! Comfort foods can be extremely appealing throughout exam periods. However, a balanced diet is important for your child’s health and will keep them upbeat and healthy through this tough time. Unhealthy foods can lead to mood swings or hyperactivity, which is the last thing anyone will want when sitting in that terrifying exam hall. As well as healthy eating, encourage a regular exercise routine to help boost energy levels, relieve stress, and clear the mind. Teamwork activities are particularly beneficial as it will allow your child to socialize with kids who share the same passions. This ones for you, yes, you! If you are showing signs of stress, then the pressure is going to pile on and your child will feel more anxious than ever before! Be sure to maintain a calm environment at all times, so your home can be a worry-free zone. Be optimistic and reassuring and your good vibes will soon rub off on your child. Unfortunately, once the exams are over, the worry may not vanish. Until that results in the envelope is open, your child may still remain a bit irritable. Check out this article provided by Cognita Schools, which gives you helpful advice on what to do if your child does not achieve their desired results.